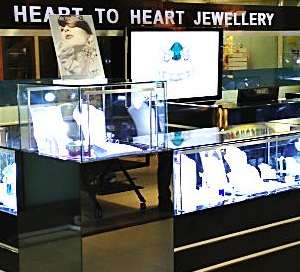 Heart To Heart Jewellery has since emerged as the leading Silver Jewellery retailer and manufacturer with 12 outlets across Singapore. Emblematizing the metamorphosis towards feminine beauty and self-distinctiveness, the trademark of Heart To Heart Jewellery –Butterfly -reflects its profound understanding of the boundless desire in every woman to display their most alluring self and individuality. With an eclectic mix of modern work from innovative contemporary collections to elegant classic solitaires, Heart To Heart Jewellery determines to adorn its wearers. 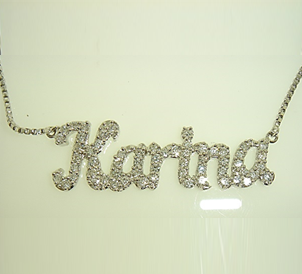 Every of its jewellery pieces comprises unparalleled ideal-cut cubic zirconia set in quality silver. Some of the more exquisite designs are further embellished by the charm of lustrous cultured pearls and semi-precious stones. Heart To Heart Jewellery makes women more than just a beauty, but an emblem of identity. Being one of the pioneers in Singapore Fashion Jewellery industry, we persevere with vigour in supplying superlative quality Jewellery pieces with nonpareil varieties of designs for over a decade, and remain vibrant to date. With a well-equipped manufacturing plant of our own, we possess unique competency to provide our customers with “one-stop services” from design and customization to post-sales alteration or plating service. Spearheading the fashion trend in the industry, Heart To Heart Jewellery has accepted an honourable invitation of collaboration from the world famous luxury accessories brand –SWAROVSKI –to be the first retailer in Singapore to market SWAROVSKI ZIRCONIA which carries a cut standard equivalent to a finest-cut genuine diamond. Integrating with our in-house designs, Heart To Heart Jewelleries yield maximum sparkle and shine. We offer complete and proven chain store concept for business starters or individual who carries jewelry passion in their soul. We would provide trademarks, logos, training and on-going support alongside a comprehensive manual packed with tips and useful information. For more details, please email to enquiry@hearttoheart.com.sg. If you have a special gift in mind, your requirements will be specifically catered to by our team of jewellery experts with a unique piece of Heart To Heart custom-made just for you. We pride ourselves on our sense of professionalism and commitment to provide value while satisfying our customers’ needs. Please email to enquiry@hearttoheart.com.sg for orders and further enquiries.